Ancestral peoples of the southwest knew how to deal with shifting and unpredictable climate patterns. For thousands of years they learned about and adapted to changes in terrain and moisture patterns, and selected their domesticated and wild food plants accordingly. Many of their techniques are still practiced today by the ancestors of New Mexico’s first farmers, and others deserve revisiting for a thriving agricultural system in the southwest, including more diversified plant selection and farming practices to help adapt to climate change. 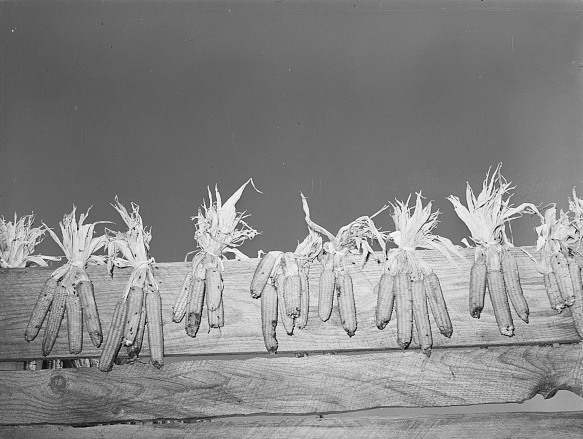 Indigenous peoples domesticated different varieties of corn, beans, squash, and other crops, and they chose which varieties to grow each season based upon prevailing climate patterns. Wild foods such as piñon, amaranth, lamb’s quarters (chenopodium), cholla, agave, and cactus fruits were also gathered to supplement agricultural crops, and evidence exists that wild edibles were nurtured and cultivated to encourage their growth. Early farmers practiced wholistic sustainable farming including, during times of drought, allowing these more adaptive wild edibles to spread in agricultural fields through selective weeding, transplanting, and direct cultivation. They purposefully chose this method over planting more water-demanding domesticated crops. In addition, game animals were encouraged to graze in the fields, thereby supplying a source of fertilizer for future crops. Dryland farming was also a method called upon by early farmers to adapt to changing weather conditions. In the southwest they practiced the best methods to plant seed, grow plants, and harvest food in locations where water was limited. Careful site selection also allowed farmers to make the most of what the landscape had to offer. They had extensive knowledge of their terrain, both near and far, and they knew that northern locations with higher elevations could supply more water in the form of greater precipitation and mountain-fed streams during times when lower elevations lacked precipitation. This knowledge allowed farmers to cultivate fields that were located in areas more favorable to farming as seasons and weather patterns changed. Ancestral residents around Santa Fe, Ojo Caliente, Rio del Oso, the Galisteo Basin, and elsewhere also used cobble mulch, in the form of pebbles, stones, volcanic ash, and other lithic material, which traps valuable moisture and inhibits evaporation from the sun and wind. Stone mulches also increase soil temperature, which allowed farmers to extend their growing season. Studies show that stone mulches protect soil from runoff, deter soil salinization, and allow for deeper plant root systems that are better adapted to withstand drought. Additionally, southwestern tribes recognized zonal differences within each of their fields and recognized productive potential in each zone instead of seeing a field as one homogenous unit, and planted different varieties and crops in each field accordingly. The Zuni’s ingenious waffle gardens are an example of creating micro-zones within fields to hold water around plants. A variety of irrigation practices were used in conjunction with one another to grow crops. 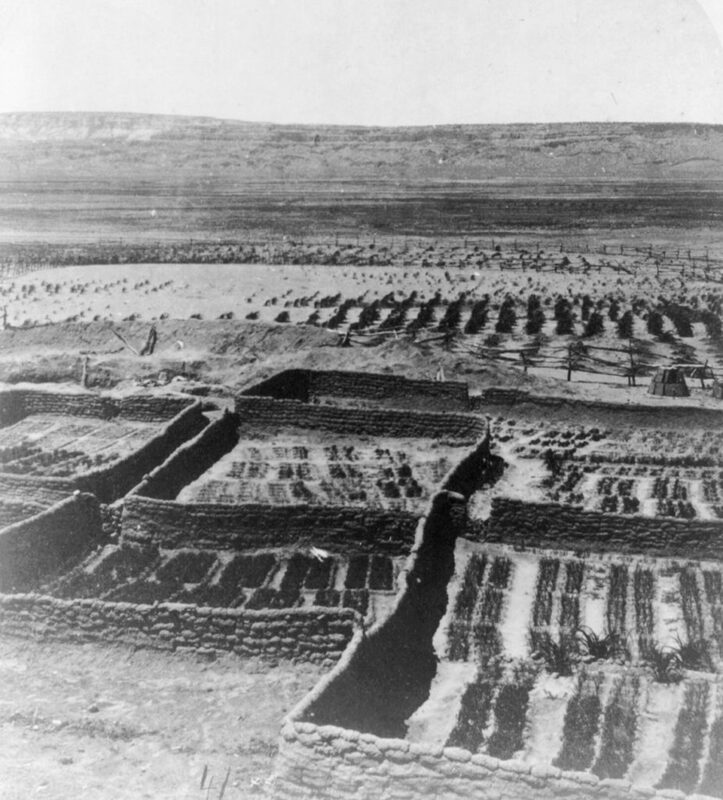 Farmers with fields in upland areas harvested water by building fields with contour or masonry terraces, which prevented water from flowing downhill. They also provided water to crops by digging wells, diverting floodwater, managing surface runoff with check dams, and digging acequias (irrigation canals). 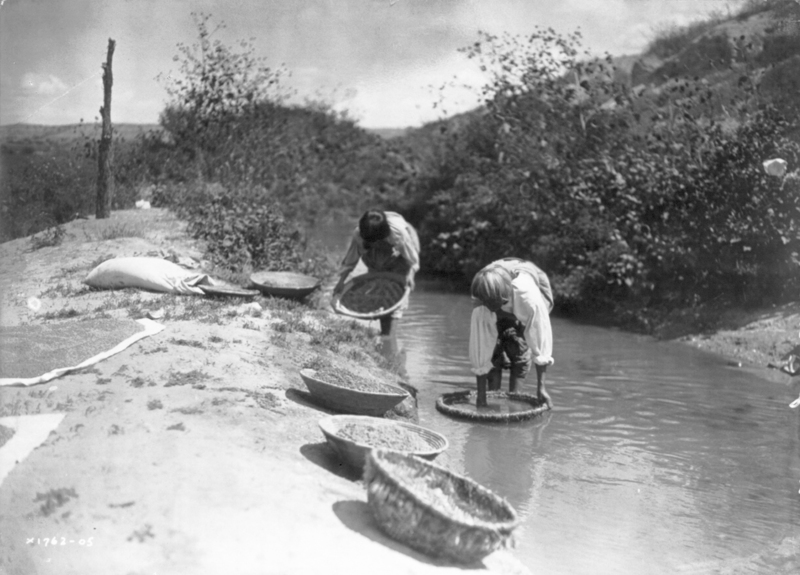 Natural waterways, including planting in seasonal arroyos with predictable flooding patterns that could be exploited for growing crops, were also used as part of a larger approach to production diversity. As farmers in New Mexico look to continue farming in a time of climate change, taking cues from ancestral farmers can provide some assistance. While migrating a hundred miles to a new location is usually out of the question, farmers can utilize historical methods meant to adapt to drying conditions such as trying new heirloom crop varieties, micro-planting fields to make the most of subtle topographical differences, and experimenting with more extensive use of protective walls and cobble mulches. Thank you for saying so, Loretta! Thank you for commenting, Naomi! New Mexico does indeed have a deep agricultural past, and many of those techniques worked well. Thank you so much for commenting! It’s wonderful to know that you’ll be sharing the article with your students! And our apologies for the delayed reply; we’re getting ready for our annual conference and it’s been very hectic! Thank you again!